With Evolution Gaming Blackjack Silver you have a Live action blackjack game styled after European playing rules. It comes with a fair number of betting options and players stand a chance of earning considerable payouts. Read on to get more information about this online casino gambling game. 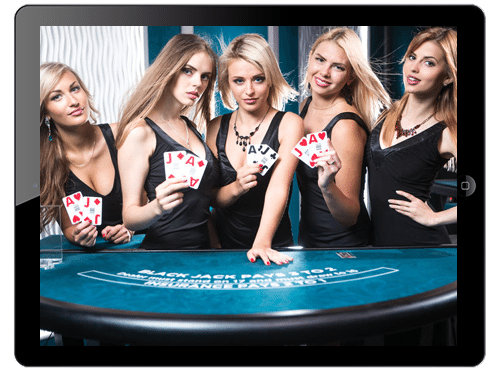 The first thing you need to know about Blackjack Silver is that it is brought to you live from Evolution Gaming Studios in Latvia. The live feed is crystal clear with no glitches whatsoever. In this Mobile casino game, you can have as many as seven players for each blackjack table. There are a number of tables available with each one having a particular betting limit. Once a table has its maximum number of players allowed (i.e. seven) you cannot obtain a seat at that particular table. However, with the “Bet Behind” feature, you can still place your bets even if you are not seated at a table. The croupiers will attend to your every need in a friendly, courteous and speedy manner. In Blackjack Silver, you have 15 seconds only to place your wager. The playing cards are then dealt by the dealer once a bet is placed. A standard blackjack bet is placed by a player clicking on within the circle in the available betting spot on the table. There are six chips with varying values available in this Mobile casino gambling game. Players will need to choose their preferred chip and place on the betting position on the table. One thing you should know is that in Blackjack Silver The dealer always stands on an overall card(s) value of “17”. A payout ratio of 3:2 is available on a Standard Blackjack bet. With a Perfect Pairs bet, one can have a payout ratio of between 6:1 to 25:1. Players can have a payout ratio of between 5:1 and 100:1 for a 21+3 side bet. The Perfect Pairs bet can also be placed with your standard blackjack bet. 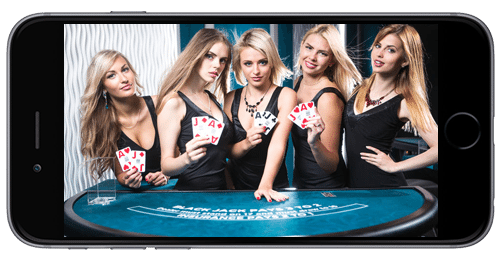 What would endear players to this online mobile blackjack game is its user-friendly interface, live chat feature, speed and simplistic gameplay. The Bet Behind feature also makes it possible to place bets on tables that are fully occupied. This mobile blackjack is certainly worth a trial today.